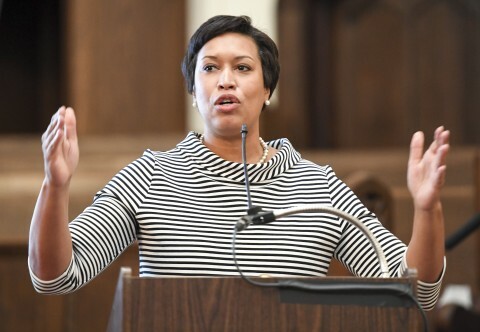 D.C. Mayor Muriel E. Bowser announced Friday that the city will dedicate more resources to city children who go missing. The mayor’s statement comes in the wake of a public outcry about the number of children, particularly teenage girls, who go missing in the District. It also follows a call by members of the Congressional Black Caucus on Thursday asking the FBI to assist D.C. police in their investigation of missing children. Bowser will increase the number of police officers assigned to find missing children and establish a task force to determine what social services teenagers who run away need to stabilize their home lives. The city would also allocate more money to nonprofit organizations that work with vulnerable teenagers. Her office said the goal is to ensure that city agencies work together to protect children and that the onus doesn’t fall entirely on the police department. On Friday afternoon, Del. Eleanor Holmes Norton, the city’s nonvoting representative in Congress, said she would introduce national legislation requiring the U.S. Department of Justice to publish detailed demographic characteristics — including race, gender and sexual orientation — of missing children. That definition includes anyone age 15 and under, including chronic runaways, and people 65 and over. In the past, publicizing such cases was discretionary. Bowser also plans to update a city website to include more information on each missing child. Deborah Shore, founder of the Sasha Bruce Youth Network, has been working with homeless and displaced young people in the District for more than 40 years. She said her organization has seen a slight uptick this year in young people reaching out to their hotline or visiting their drop-in centers. When young people run away from home, they typically will stay with someone they know and sleep on a couch, Shore said. National media outlets, including the New York Daily News and ABC’s “Good Morning America” have run stories on the District’s missing teenagers. A headline in the Root, an African American culture and news website, demanded to know if “anyone even cares” about the District’s missing black and Hispanic teens. On Thursday, black members of Congress called for the Justice Department to help local police investigate missing children in the nation’s capital. Even if some of the media’s coverage is misleading, Harris said the mayor thinks that the attention the issue is receiving is positive and could help bring these children home quickly and safely. Harris said that if jurisdictions across the country adopted the District’s social media policy, every missing child could receive the attention that those in D.C. are getting. Harris said these new initiatives aren’t a response to the alarm raised by media coverage, although he said she announced it Friday because of the attention it is receiving.